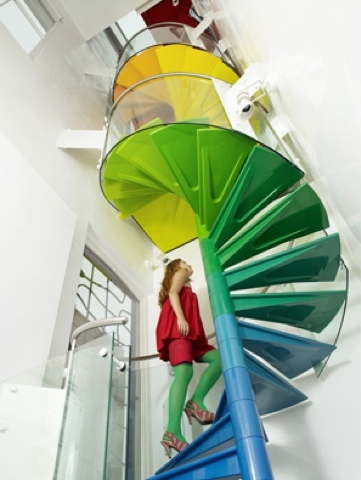 The Rainbow House in London is the house of the day! It's designed by the fabulous people over at AB Rogers. 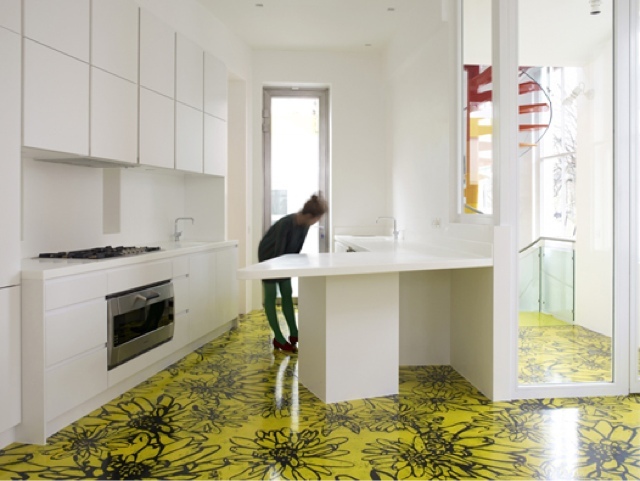 It's a lively transition of color from room to room, floor to floor of this home. 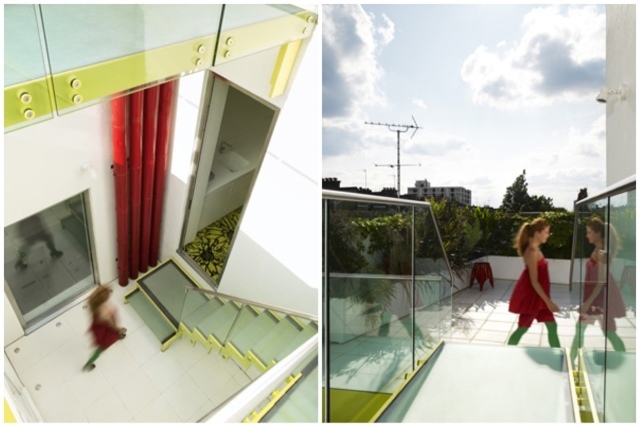 One of the perks of this multilevel home is an indoor slide. 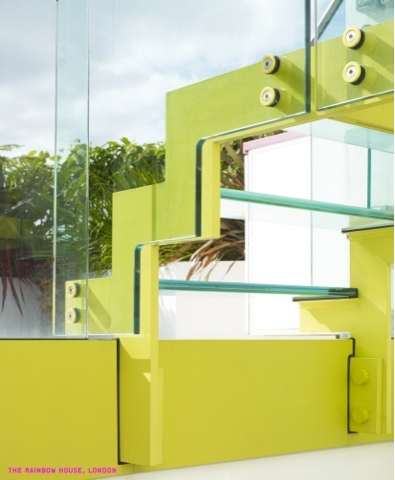 Care to taste the Rainbow House?